Visual Studio Code>Programming Languages>python-string-sqlNew to Visual Studio Code? Get it now. Adds syntax highlight support for python multiline SQL strings in VS Code. Install python-string-sql from extensions (ctrl + shift + x or cmd + shift + x on mac). 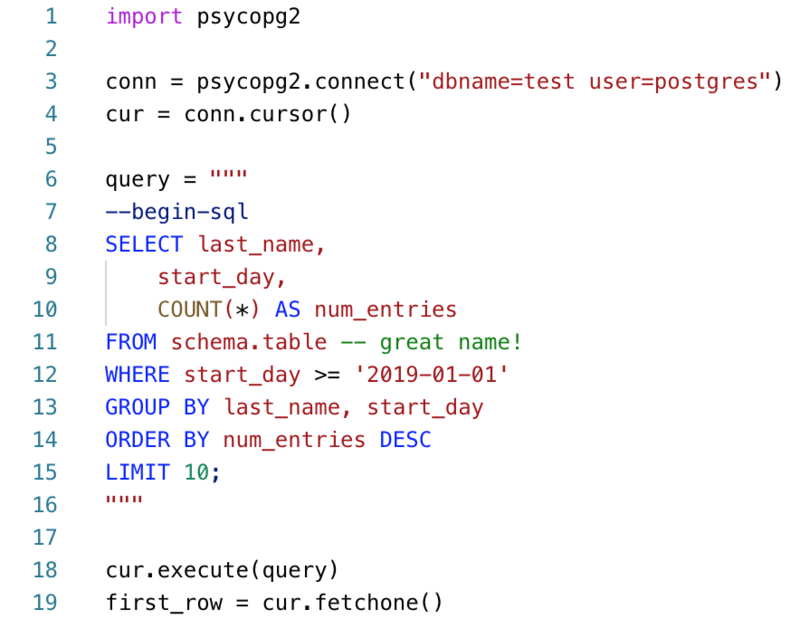 Insert --sql, --beginsql, or --begin-sql at the beginning of the part of the string you would like highlighted and a semicolon, --endsql, or --end-sql at the end of the highlighted section. Comments at beginning and end of highlighted section in the string (see Usage section).